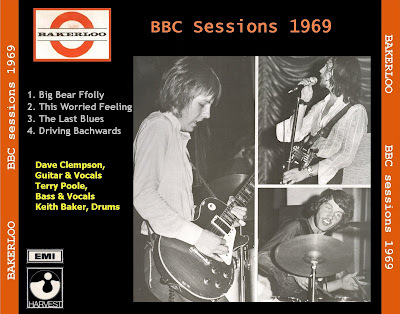 John Hinch - THE PINCH, THIS GENERATION, HIROSHIMA, JUDAS PRIEST Terry Poole - BAKERLOO, MAY BLITZ Bakerloo were originally formed as the Bakerloo Blues Line in 1967, at the outset of the blues boom spearheaded by the Cream. A power trio similar to the latter outfit, they also incorporated some of the artier elements of pop music from that period--Dave "Clem" Clempson played solid, bluesy lead guitar, but he also doubled on harpsichord and piano as well as providing the mouth harp, while Terry Poole played bass and Keith Baker played drums. 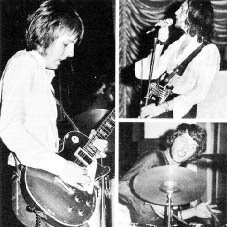 Bakerloo was also one of the support acts on Oct. 18, 1968, the night Led Zeppelin made their debut at London's Marquee Club. 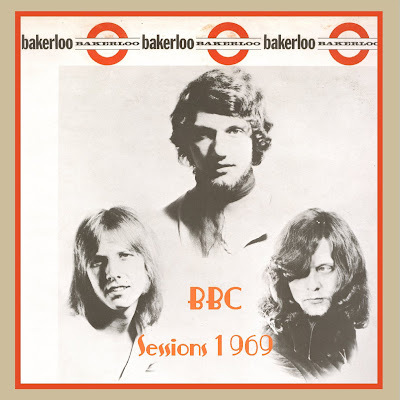 Bakerloo were among the early signings to EMI's Harvest label, where they made their debut in the middle of 1969 with the single "Driving Backwards" b/w"Once Upon A Time" in July. They followed it up that fall with their self-titled album, which gave their jazz-inflected electric blues, reminiscent in some ways of Blodwyn Pig's work, a full workout. Cut under the guidance of producer Gus Dudgeon and released in November of that year, the album was one of the harder rocking releases in the early Harvest schedule. Bakerloo were one of the more sophisticated blues-oriented power trios, and that might've been their undoing in finding an audience.